The life coach performs totally different functions than the best friend or poker buddy. It may be easier to begin by defining what life coaching is not. Life coaching is not consulting, nor is it mentoring, therapy, or counseling. Life coaching addresses defined personal projects, business or career issues, or transitions in a person’s life. It involves looking at what is going on right now, identifying challenges or obstacles, and defining a course of action that will overcome those obstacles to reach important personal goals. Some life coaches consider themselves general practitioners, while others may specialize in issues such as confidence/self-esteem, career change, self-care, managing stress, channeling creativity, or mastering the art of balance among home, career, and personal development. In short, life coaching is about guidance, empowerment, and improvement of one or more aspects of life. It doesn’t exclusively focus on professional life like business coaching does, and it’s less laser-focused than CEO coaching is. While life coaching is similar to career coaching, it may include non-career goals, such as developing the motivation and discipline to exercise. 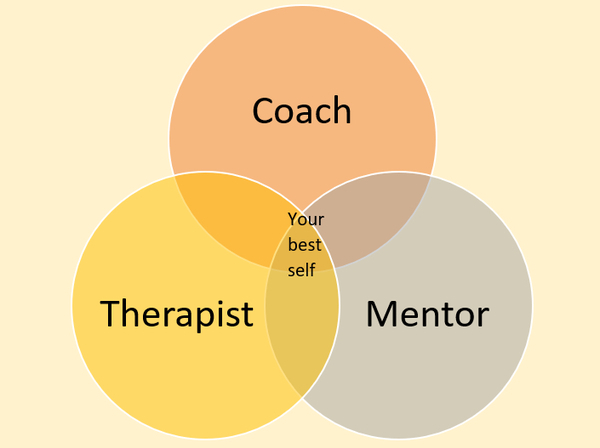 Who Are Life Coaching Clients? They may be professionals, blue-collar workers, or CEOs. They may be parents who face unusual challenges, like a child with a chronic medical condition. But in most cases, the people who hire life coaches are people who want to make a life transformation and want to maximize their chances of success. They know that friends and family members may not be able to be impartial, and they may not feel like they need the specialized services of a mental health counselor. They want to keep moving, keep learning, and become the better all-around person they know they can be. What Should Clients Expect from Life Coaches? Life coaching isn’t a trivial investment for most people, so it’s important to know what to expect from a life coach. If you hire a life coach, you should fully expect that, assuming you engage with the process to the best of your ability, you will get more out of life, produce better results in your personal and professional life, make choices more effectively, see steady progress toward your goals, and learn how to maintain better balance among all the stressors of everyday life. Clients should expect a potential life coach to create a plan stating approximately how many coaching sessions will be needed, how frequently they will be held, and whether they will be held in person, by phone, by video-conference or some mixture of communication methods. While clients certainly can’t expect the life coach to do all the work, they can expect to come away from life coaching with a better picture of what their true purpose is in life. They should also graduate from the coaching process with higher self-confidence, better motivation, and better discipline to put confidence and motivation to work. In short, they should come away from life coaching as a better version of their current best self. Therapists, coaches, and mentors all help people excel, but in different ways, and through different approaches. 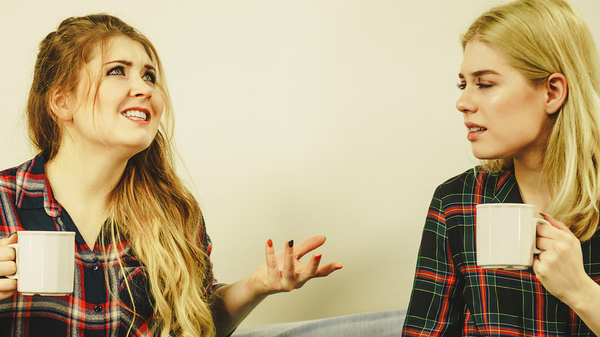 There are some obvious differences between life coaches and therapists. For one thing, therapists are required to be licensed and are regulated by state laws as to their level of education, type of training, and continuing education. Therapists work with people who are dealing with mental health issues, substance abuse, trauma, grief, or difficulties with intimate relationships. Therapy often involves exploring the past and deep-seated events and experiences that have influenced mental health. By contrast, life coaching focuses on the present, the future, and how to bridge the two most successfully. A life coach will help a client identify goals and obstacles, and develop the discipline, motivation, and accountability to overcome obstacles so they can achieve their goals. Coaching often involves addressing an individual’s mindset, attitudes, and thinking patterns by identifying problems like negative self-talk and self-limiting beliefs. The person seeking life coaching is assumed to have the answers they need within them, with the coach’s job being the facilitation of discovery of those answers. One other important difference between therapists and life coaches is that therapists usually charge on a per-session basis, while life coaches often price their services based on coaching packages or programs. Coaching packages may last anywhere from six weeks to six months, and sometimes longer. Can Life Coaching Improve Your Career? Absolutely! What’s going on in our everyday, non-work lives affects our performance at work. Think about a time you went into work after a great weekend, rested and enjoying the afterglow of doing things you loved with people you loved. You probably performed well at work that day. Likewise, think of a time you went to work with a vague backache because you didn’t sleep well, or after getting up and realizing you forgot to get coffee at the supermarket. That day at work was probably far more challenging, right? Life coaching helps with confidence, which carries over into every aspect of life. It can also help us with relationships by helping us understand and implement healthy boundaries or learn to listen more effectively. Life coaching often addresses issues with interpersonal skills, overall wellness, and effective time management, and these are issues that apply whether or not we’re at the office. A life coach can’t teach you how to write a quarterly report that your manager will love, but a life coach can teach you how to manage your time and expectations, so you don’t waste any of your time wishing things were different or otherwise engaging in behaviors that work against your progress. 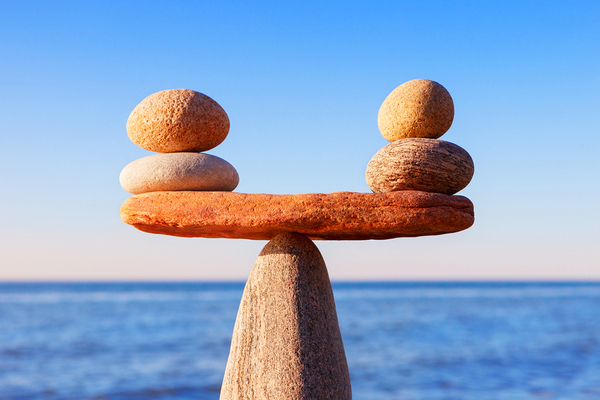 How Can Life Coaching Help with Work-Life Balance? One of the most important things life coaching can impart is what the elusive work-life balance is, and what it is not. People, families, jobs, and co-workers are in a constant dynamic state, so you’re not going to achieve a work-life balance that is “once and done.” The fact is, most of the time we can only maintain balance momentarily, but that doesn’t mean we shouldn’t pursue it. By helping clients prioritize and overcome self-imposed obstacles, life coaches can help with work-life balance. How we are when we’re not at work affects how we are at work, and vice versa. But there will be times when work must take precedence, such as when there is an important and hard deadline to be met, come what may. Likewise, there will be times when non-work situations must take precedence, such as in the event of illness, natural disaster, or a well-earned vacation. Life coaching can teach us how to keep our eyes on the goal of good work-life balance, even during those times when such a careful balance seems impossible. With life coaching, we can’t avoid those hard and stressful deadlines or non-work issues that happen to all of us. But life coaching helps us recognize when things are out of balance, why they’re out of balance, and how to bring things back to the center once a crisis subsides. What Qualities Should a Life Coach Have? Life coaches are human, after all, and because of the one-on-one nature of what they do, they should have certain human qualities in abundance, aside from their professional qualifications. For one thing, your life coach should genuinely care about you and your success, as well as the balance of all the major aspects of your life. Your life coach should understand that you, the client, are unique and that whatever tools or techniques they have been taught in their training need to be adjusted for you, your goals, and your situation. And your life coach should be genuinely excited about your progress, helping you to see just how far you have come during the coaching process. What Are Life Coaching Sessions Like? Your initial life coaching session, after you have hired and committed to the coaching process, will be different than subsequent coaching sessions. Your coach should establish rapport by encouraging you to talk about things like what your day has been like, what is important to you right now, and how you hope the life coaching process will help. You may also answer more probing questions like who your role models are and how they came to be that. You may talk about your usual decision-making process, career aspirations, and how you spend your free time. Subsequent coaching sessions will probably commence with talking about how you are, what you feel good about, and what you are struggling with. You will talk about what has happened since your last coaching session, any breakthroughs or insights you have developed, and any decisions you have made. 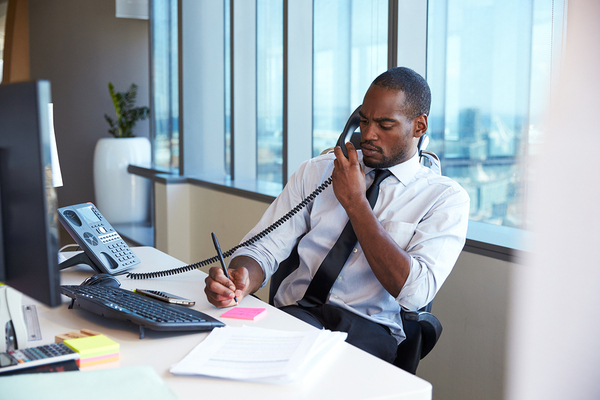 Coaching sessions may take place in person, by phone, or by video conference. You will probably talk about progress on any “homework” you were given at your last coaching session, as well as progress you have made toward the goals you are working on with your life coach. You will talk about what you have struggled with since the last session and discuss whether this indicates that a goal should be modified, or whether you, for whatever reason, were not able to make progress. Your coach will talk to you about the goals or tasks you will take on before your next life coaching sessions, and how you plan to make progress toward them. And you will probably discuss how you might get stuck on your way to your goals, how to get unstuck, and how to maintain accountability to yourself as you work toward your next goals. Successfully vetting life coaching candidates requires both heart and mind. The fact is, you probably won’t “click” with every life coach candidate you talk to. Their bona fide qualifications matter, of course, but so does their ability to develop a rapport with you. If you worry that establishing a good working relationship will take too much time, then perhaps that coach isn’t the right one for you. You can and should ask a potential life coach about results. References and testimonials from clients are valuable, and you should follow up with them. You may be able to find online reviews of some life coaches, and you should read them, but with a skeptical eye. A client who failed to make progress and trashed their coach online may have worked with a genuinely bad coach, but they may have worked with a good coach with whom they could not establish a good rapport. Life coaching is not a highly regulated industry, and because of that, it’s important that you gather as much information as you can, from as many reputable sources as you can. Because there is so little regulation surrounding life coaching, you can find life coaches with a range of backgrounds. Many of them have experience in business, and some may have a background and qualifications in counseling. Fortunately, life coaches who are simply not qualified in any way are often quickly flushed out of the profession, but you should still be willing to follow up on any qualifications a life coach claims. It is also important that you dig a little to make sure that your chosen life coach is not in pursuit of a particular agenda. Did they get into coaching because they couldn’t make it in any other field? Do they impose a coaching style or worldview on their clients, regardless of the client’s background? Ideally, the life coach you choose should have the training, education, and experience necessary to develop successful coaching programs, and while they should have trusted tools and techniques, they should understand the limitations of those tools and techniques. You should expect your life coach to provide you with solid references as to their education, training, and previous clients, and you should follow up with them to ensure they’re valid. 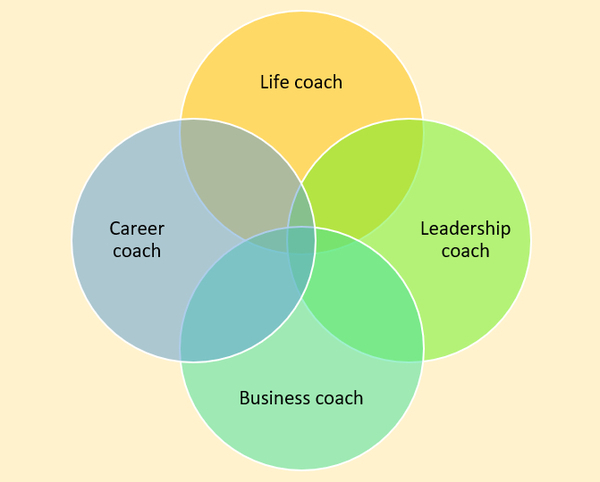 Life coaches tend to have similar backgrounds as other types of professional coaches. The International Coach Federation (ICF) is an international nonprofit organization that was founded in 1995 and is dedicated to establishing and maintaining standards for coaches. Today, many coaches consider ICF certification to be essential to a successful coaching career, although ICF certification is not required for a person to advertise their coaching services. To earn ICF credentials, a life coach must complete coaching-specific training that meets the organization’s standards and achieves a designated number of experience hours in coaching. ICF-certified coaches must also partner with a mentor coach and adhere to the organization’s code of ethics and core competencies. The ICF also offers accreditation for coach training programs. If your chosen life coach has completed an ICF-accredited training program, you can be confident that the training curriculum aligns with ICF standards. The organization offers a searchable database that coaches in training and coaching clients can use to learn whether a particular training program has been accredited by the ICF. If you don’t know where to start in evaluating a life coach, you can begin by asking if they have ICF certification or if their training was ICF accredited. Life coaching has similarities to and differences from other types of coaching, including career coaching, business coaching, leadership coaching, and executive coaching. For some people, life coaching is the type of coaching that makes the most sense when considering goals, lifestyle, and work-life balance. Choosing to work with a life coach is not a trivial decision, because working with an outstanding life coach can indeed help you transform your life. If you’re interested in learning more about coaching, I invite you to check out my leadership coaching services. Business coach – a professional who works with business professionals to help them define business and career goals, develop a roadmap to success and develop the persistence and accountability to achieve business goals. Career coach – a coach who helps clients at many different career stages. Clients may be just starting out in their careers and want to make the most of it, they may be at a career crossroad, or they may be nearing the end of their career and interested in making the most of their professional legacy. CEO coach – a coach who works with CEOs, often starting as soon as a new CEO is appointed. These coaches work specifically on career and decision-making processes that are unique to the CEO experience. International Coach Federation (ICF) – an international organization dedicated to ensuring that people in the coaching profession are qualified, educated and trained and that they adhere to the organization’s code of ethics. The ICF also offers accreditation services to coach training programs. Leadership coach – a coach who works with people in professional positions of leadership, including team leaders, managers, executives, and others who are expected to provide leadership and have a measurable stake in moving the organization toward its goals. Life coach – a coach who works with clients who are interested in achieving personal and/or professional goals, and who want to develop their motivation, discipline, and self-accountability so they can reach their goals without wasting time or compromising on the qualities they value most.